In June 2013, Bridgecreek Investment Management was recognized as one of the largest fee-only registered investment advisory firms in the United States by InvestmentNews. Bridgecreek was the highest-ranked RIA in Tulsa with $508,000,000 in assets as of 12-31-2012 and was #310 in the United States based on total assets under management. Also, Bridgecreek was ranked #57 in the country based on average account size with an average portfolio of $7.8 million. Bridgecreek started as a small boutique firm in 2004 with 10 clients and $80 million. Today, Bridgecreek has over $550 million under management and 65 clients. “Though we have grown to be one of the larger RIA firms in this part of the country, we continue to remain very small in the number of clients so that we have time to address the individual needs of everyone who is a part of Bridgecreek. We have been fortunate to see high annual percentage growth without adding the human resource complexities associated with larger investment advisory firms,” said Chuck Fuller, CEO. 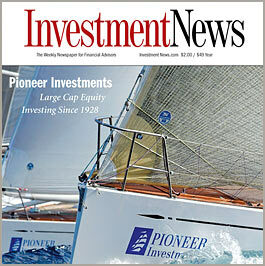 Since 1998, InvestmentNews has been providing accurate, breaking news to financial advisers. InvestmentNews reports news that affects their business, including stories about industry trends and competition, legislation, regulation, people, products, suppliers, and technology. We also report news affecting their clients’ investments, including stories about the economy and markets, investment trends, mutual fund performance, asset allocation, retirement issues, taxes, and estate planning. The mission of InvestmentNews Research is to provide financial advisers with the industry’s most informative practice management studies and benchmarking reports. Our benchmarking studies are a leading source of market intelligence for advisory firms and industry partners, such as custodians, broker-dealers, service providers, and professional organizations.